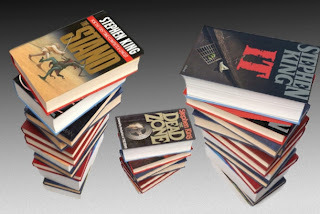 Since I just reviewed Stephen King's 2009 tome Under the Dome, and today Vulture ranks all 62 of his novels, I figured I would take my own stab. Although I haven't read hardly any of his books over the past 20 years, I'm still pretty confident that these are some strong rankings. I was a total King junkie as a teen and into my early 20s (in those days, I didn't fall asleep 5 pages into every book I tried to read). What do you think? I would imagine everyone's favorite is The Stand, but is there something I'm missing out on? Something else of his I should read? I'm going to definitely put Vulture's #2 pick, On Writing, into my queue. Thanks, Anonymous. Glad you like my Stephen King rankings. Paul, you might also consider "The Mist." King's 1980 novella, which also interconnects to much of his other work, touches a bit more on what he calls a "Thinny." And if you remember back, plays a big role in books 4 (my personal favorite) and 5 in his Dark Tower series. Oh yeah, Nick, I loved The Mist. I considered it part of Skeleton Crew, since it also appeared in that excellent collection (see #9 above). Thanks for the recommendation. I may have to revisit it one of these days. You ought to read Storm of the Century. It's not a novel, but it's a screenplay that Stephen King wrote before the movie came out. 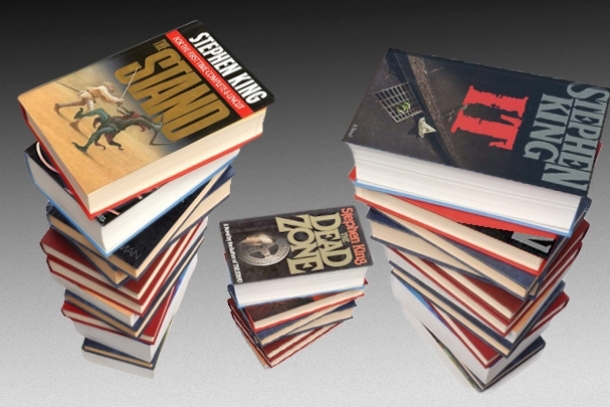 The best Stephen King "book" there is.